Oil changes are something all vehicle owners must provide for their automobiles as a part of regular maintenance. Why not earn rewards and discounts in the process? Valvoline Express Care has been providing top quality automotive service and maintenance in the Brampton area for well over 20 years now. This long-standing period of operation means that customers can expect fast, efficient and complete service and results every time. Not only can all customers rely on top quality service, but they can also earn discounts and rewards while experiencing it. The first step to collecting rewards and discounts, is to download the Valvoline App. Once the app has been downloaded you are on your way to earning reward points, discounts, and coupons for various services and products. For example, you can receive a coupon for a discounted or free oil change. If you are looking for a reliable automotive service provider in the Brampton area, Valvoline Express Care has you covered on all sides. Automotive maintenance is a smart and effective method for preserving the performance, safety, and value of your vehicle. Oil is the life-blood of your vehicle, keeping it running and preventing it from breaking down and overheating. It needs to be kept clean, or it will not continue to have the desired results. Once oil has become dirty and contaminated, it no longer provides the necessary protection for your engine. This can lead to all kinds of unfavorable results. Consistent oil changes are key to preserving the condition of your engine. Oil changes help keep your engine clean and functional. Oil that flows from other areas of the vehicle, can bring dirt and debris into the engine if the oil is not kept clean. If the oil goes unchanged for an extended period of time, a sludge can start to build and accumulate in the engine. This is not good for the engine, or the car in general, for that matter. 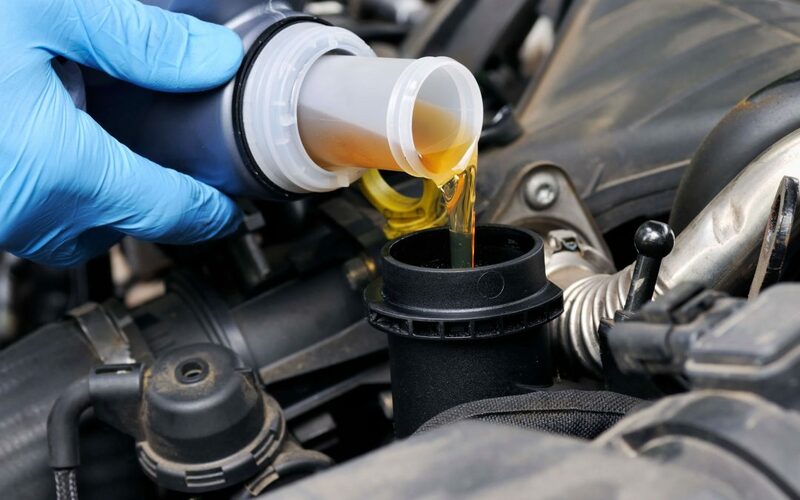 By having your oil changed and your filters replaced regularly, you can prevent this build up before it has a chance to do any damage to your engine. This will enhance the longevity of your engine, saving you money and stress. The dirt and sludge that we were just talking about, that can build up in your engine without proper maintenance, will lead to your engine having to work harder. On the other hand, if you keep your oil and your engine clean, then your engine doesn’t have to work as hard. Less grit build-up means less friction, which leads to less resistance and a smoother running engine. This all serves to improve your gas mileage. Failure to have your oil changed consistently will result in an accumulation of harmful hydrocarbons inside your engine. These hazardous substances then get burned up when your vehicle is operated and released into the environment. Protect the environment and limit your contribution to air pollution by changing your oil in a timely fashion. Vehicular maintenance generally all comes down preserving the value and optimizing the performance of your automobile. By spending a little money up front to maintain your car, you will be avoiding substantial mechanic bills later on. You will also have to buy a new vehicle less frequently, which is obviously a massive expense.